Before my son was born, we already had his name picked out. The name came from a hockey player on a team that I liked…not my favorite player, mind you, but rather a player who’s last name sounded like it would be a cool first name for a future hockey star. And so he was named, and so began his inevitable indoctrination in to the world of hockey. 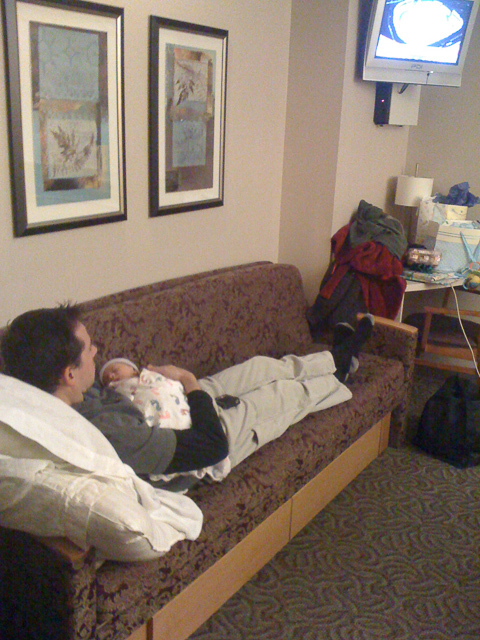 On my son’s second night of life, he and I laid on the couch in hospital room watching the Colorado Avalanche on television. Well, I was watching. He was sleeping and absorbing the game through osmosis. 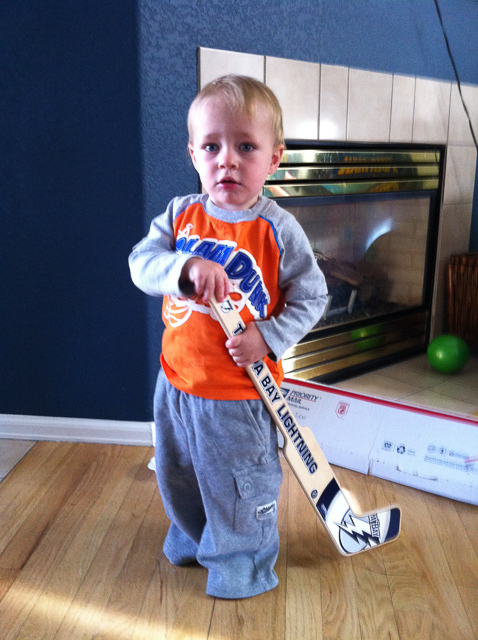 When he was two, even before he had his first haircut, he got his first hockey stick. He was just learning to run, but we were already playing floor hockey almost every night after I got home from work. The more exposed to the game he got, the more aspects of it we incorporated in to our play, from national anthems, to player introductions, to raising the Stanley Cup after the last game of the night. 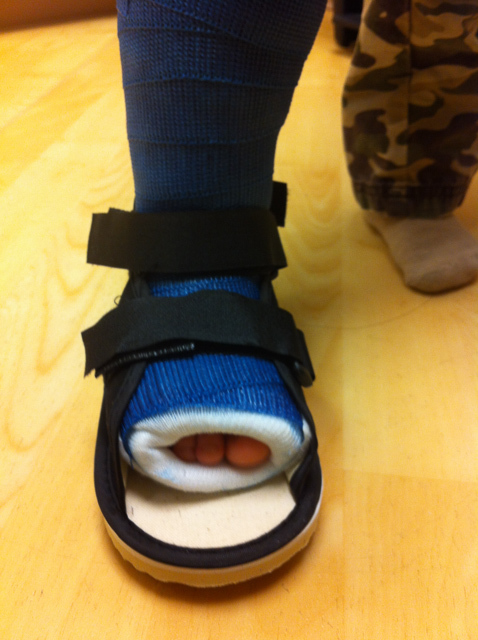 When he was three, he broke his foot jumping off a chair. The break required a cast (or four casts, since as new parents, we hadn’t quite figured out how to keep his cast dry between the bath and the snow on the ground). But that didn’t stop him from playing hockey, shuffling around and taking slapshots from his knees. 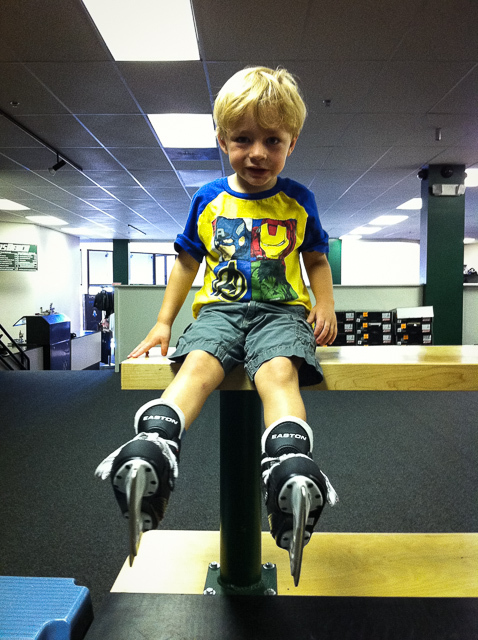 Once his foot healed, we bought him his first pair of hockey skates. We went to a hockey store where he was surrounded by every pad, stick, and puck he had imagined himself playing with while watching the games on television. He sat on the bench getting sized for his stakes, ready to take the ice. When he finally hit the ice, I half-expected him to skate circles around me. He didn’t, of course, and he spent most of is time on the ice (either from falling or intentionally sliding on his belly), but there were moments pushing around the skating aid where I could see his gears turning, imaging himself crossing the blue line for a breakaway goal. 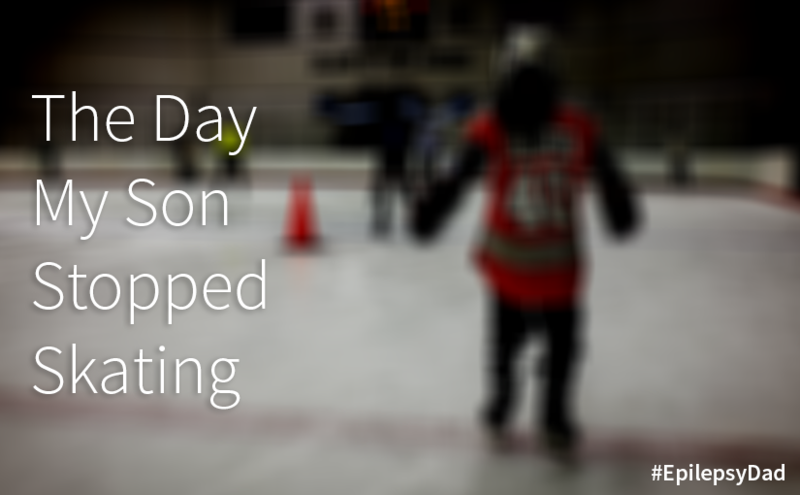 From there, we took a parent-tot skating class before he joined the “learn to skate” program. During every class, he would look down the ice at the older kids in the hockey class, and he would ask how much longer before he could join them. 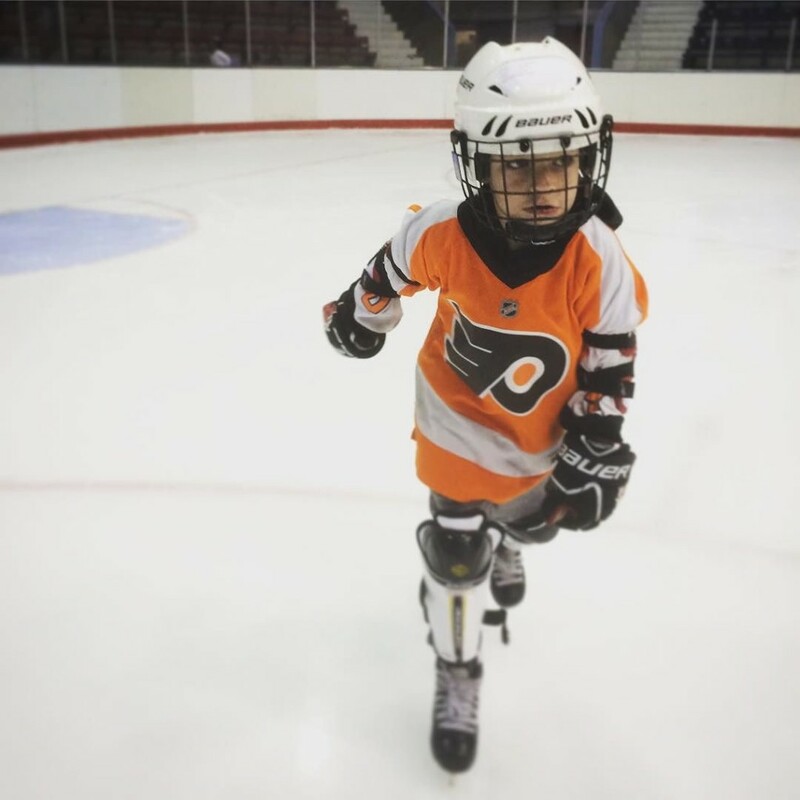 It motivated him to get better and, a few months before his fifth birthday, he was finally registered for the “introduction to hockey” class. The first day of class, he filled the locker room with electricity as he was finally able to put on all his hockey pads and jersey. 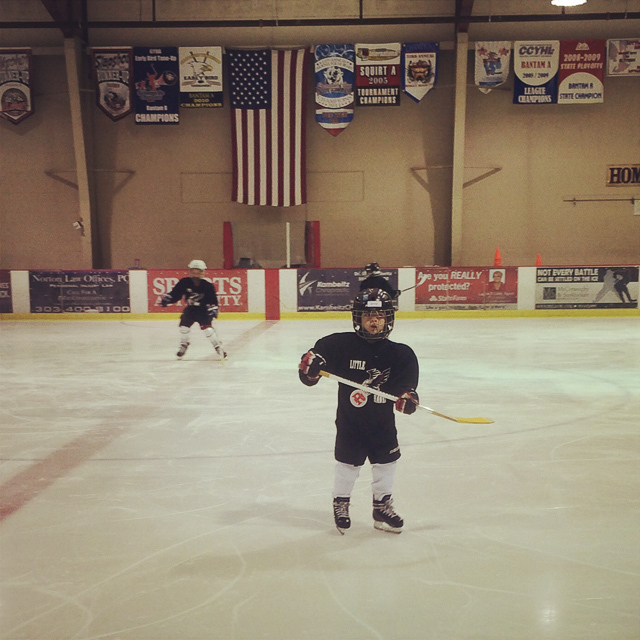 He lined up with the rest of the class, ready to take the ice. The door opened, and the miniature hockey team took to the ice. 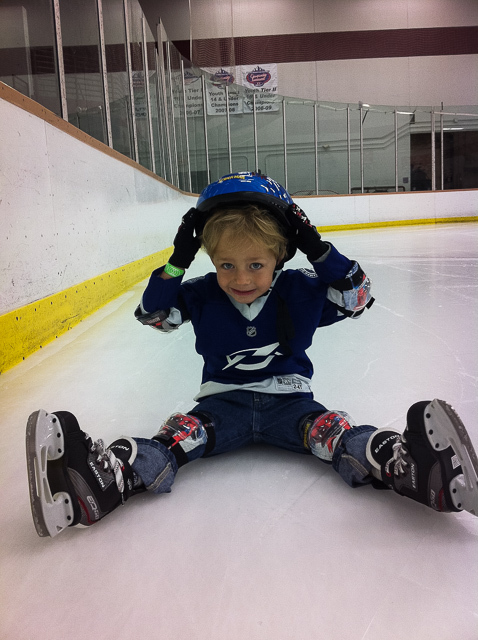 When it was my son’s turn, he put one foot on the ice, then the other, and then fell straight down. Of course, wanting to record this moment, I have this inauspicious start on video, and I had planned on showing his teammates someday when he was playing in the National Hockey League. But then, shortly after his classes started, he had his first seizure. By the end of the year, his seizures had gotten out of control, and his fatigue and the side effects of the medicine made skating a dangerous impossibility. He lost control of his body that he was once able to control so completely. He was ripped away from the sport and the activity that he continued to talk about and watch on television every day. We no longer thought about skating or the NHL, we just hoped that the seizures would stop, and that the damage done from the seizures and the toxicity and side effects from the medicines wasn’t permanent. There were days when my son was too tired to function and too wobbly to stand but he would try to go in the basement and take shots. It broke my heart to see him like that, but I would go down and play with him, sometimes fighting back tears on the really bad days. There were days when I thought that was where our story would end. But thanks to the amazing people who cared for him, my son’s condition started to improve. Although we are not seizure free, they happen mostly at night. As we continue on the ketogenic diet and adjust his medications, my son has regained much of his balance. We started working with an off-ice coach so that he can be more active and build his stamina doing something that he loves. Then, a few weeks ago, a day we had almost stopped hoping for came. We hopped in to a taxi and headed to our local ice rink. My son put on his helmet, his jersey, and we helped him put on his skates. He stood and started walking down the hallway towards the ice. The next few steps felt like they came in slow motion. I held my breath as he grabbed the side of the boards with his right hand and stepped on to the ice with one foot and then the other. After a few seconds, he was free of the boards, the edges of his skates digging in to the ice and propelling him forward. Even though we only spent a short amount of time on the ice, it was enough for mark a milestone in our journey with epilepsy. We don’t know what the future holds, how long the diet or the medicine will work to control his seizures. We don’t know if he’ll be able to continue to skate if his seizures spike again or if he develops new side effects or complications as he ages. But for as dark as things have been, as much as my son has gone through, and as impossible as everything had seemed, for one afternoon, he was able to do what he loved, and we celebrated that moment as if he had just won the Stanley Cup.